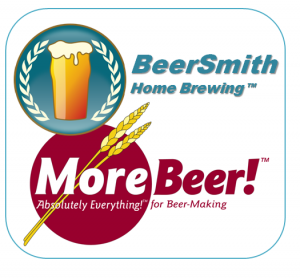 MoreBeer – one of the largest online suppliers of brewing supplies and equipment, is now a BeerSmith partner! Order your brewing equipment, ingredients, and kits using the links below to support BeerSmith! MoreBeer Main Catalog – Order here! A portion of every order placed from the links on this page comes back to support the BeerSmith sites! Be sure to bookmark this page, and use it every time you place a MoreBeer order! Extract Brewing Kits – A large selection of beer kits! 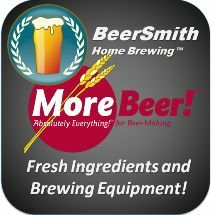 Brewing Ingredients – Order your grains, hops, yeast directly from MoreBeer! False Bottoms – Useful for converting a cooler for use as a mash tun! BrewEasy – Blichmann makes some of the finest brewing equipment! Thank you for supporting BeerSmith! Your order will go to help support further development of BeerSmith, the Beersmith podcast, our brewing blog, BrewWiki, the BeerSmith discussion forum as well as future projects.